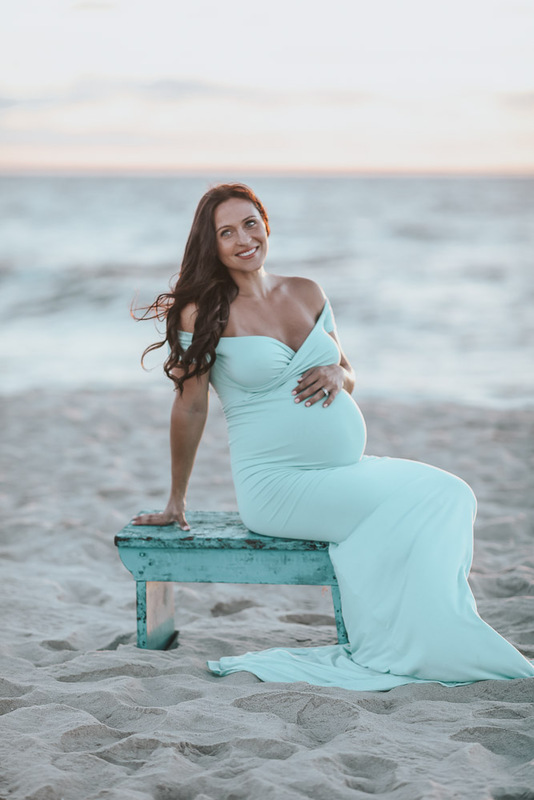 This pregnancy I knew from the very beginning I wanted to do a maternity photoshoot again. I did them with our first baby but not with our second (still can’t figure out why) and really regret skipping them the second time around. I know it sounds crazy but we decided to do photos on the beach at sunrise (aka 5:30 am) and I am sooooo happy we did. I may not have been so excited at the time about waking up at 3:15 in the morning to get ready but now I’m so glad I did it. The pops of pink in the sunrise were exactly what I was hoping for! This dress is the “Audrey” style in the color “Pale Mint”. If you’re in need of a gown for your maternity photoshoot I highly recommend going with Sew Trendy Accessories. Their customer service is amazing and the quality of my dress really couldn’t be beat! Use code “INSTACLAUREN” for 10% off your order! 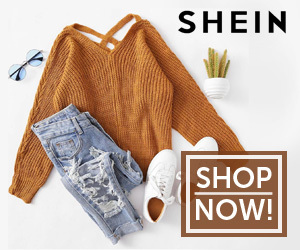 Looking for more fashion posts? Check here. 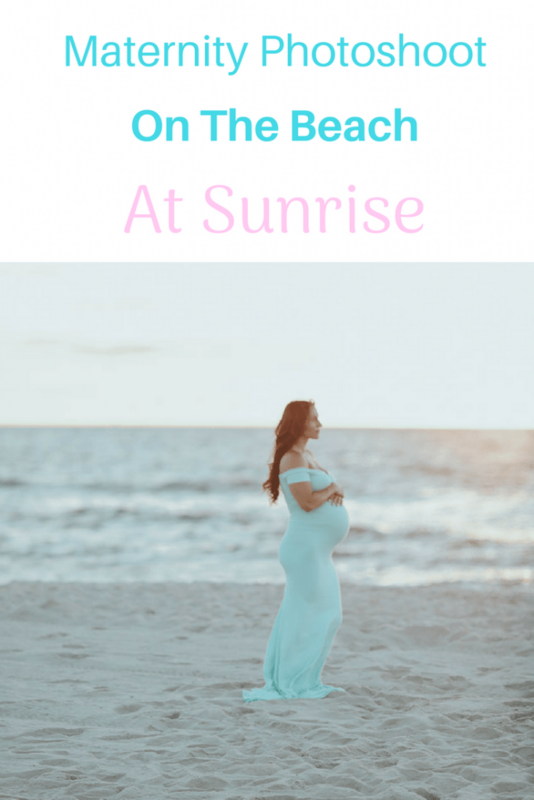 Share this “Maternity Photoshoot On The Beach At Sunrise” post on pinterest via the image below!